The quest for a perfect Facebook post is never ending. Maintaining healthy organic reach for any Facebook page has been the challenge of 2017 for page admins. There’s nothing we can do to change Facebook algorithms but there are ways to improve the chance of people seeing our posts. These 10 ingredients are designed to be inspiration and can often be mixed together in various ways to get better reach. Every Facebook page performs differently for lots of reasons but if you start experimenting with a few of these you should see a healthy return on your time and effort. So what can you do to get the most eyes on your Facebook content? Go Live! Live video is everywhere and it’s only going to become more popular in our opinion. Facebook Live is a perfect way of grabbing the attention of people who have liked your page. It allows you to answer customer questions, hear what they think about your product or service and let them know your news. Tag other businesses. When you ‘tag’ or ‘mention’ another business on Facebook you are inviting them to share and engage with your content. Consider partner businesses that you want your audience to know about and consider a cross promotion that shows off the best of your businesses. Use emojis. When used sparingly emojis can have a positive effect on your post reach and engagement. Buffer found that using emoticons increases comments by 33% which is great but they also found that they get liked 57% more often than posts without emojis. Eye catching photos. When you are taking photos of your business be sure to show it in the best light. Use a smartphone that takes clear HD images. Feature your staff, happy, smiling and enjoying their work. Give a ‘behind the scenes’ look at your business which might surprise your audience. Upload HD videos. If you have a newer iPhone or Android phone, then you have all you need to shoot excellent video for Facebook. Invest in a £15 tripod for your phone and shoot 30 second, one minute, three minute videos of you and your staff talking about the highlights of your product or service. Facebook is all about video content at the moment (in a war to pry eyes away from YouTube) so if you aren’t posting videos to your page, your reach will never be what it could be. Quotes. Inspirational quotes are a staple of social media and for a perfect Facebook post, if used occasionally, they still generate very healthy engagement. Consider creating a graphic template for your quotes using a free service like Canvawhich allows you to create branded graphics. Schedule them to post on the same day every week to create consistency. Tips. A way to keep your followers coming back for more is to be useful and offer value. If you are a coffee shop, give tips on coffee making. Run a photography business? Use Facebook Notes to list 5 ways to get the perfect photograph in low light. Testimonials. These are great for your business but be sure to be transparent about them. Ideally video testimonials are your first choice, but if that’s not possible, try to get a well taken photo of the customer that has given the testimonial. If they are comfortable, also include their name and where they are from. Testimonials with a first name only can be seen as ‘made up’ and create questions not reassurance about your business. Facebook sales. Want to get more foot traffic into your shop on a certain day? Tell customers to mention a ‘codeword’ on the date you choose and they will enjoy a discount just by mentioning it (be clear about when it ends!). Our last ingredient isn’t a tip so much as an essential piece of advice. Regularly check your page insights for posts that have performed well organically and then pay to boost those posts. If people have reacted positively to your content you want many more potential customers to see it. Your boost doesn’t have to be huge. Five pounds spent getting the post in the newsfeed of your target demographic can have a hugely positive impact. The search for the perfect Facebook post is a never ending quest. You would be amazed at how many businesses waste their efforts by posting text only updates with no photos or videos. If you incorporate just a few of the ideas listed above you will be well on your way to a more engaged Facebook page. How will you know it’s working? 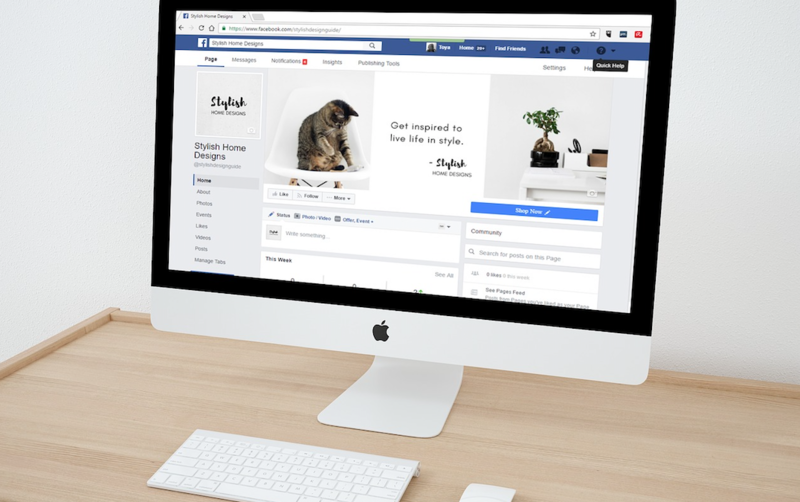 Admins of well managed Facebook pages regularly hear directly from customers that they heard about a product or service from their company’s page. Want to meet to discuss how Deep Space Marketing can manage your Facebook page? Get in touch by calling 01728 726536.